Glenton, F., photographer, Nashua, NH (1870s-1880s) *cdv image identified as "Mrs. Charles Woodbury", jpg in gallery; F. Glenton, photographer, 115 Main, Nashua, NH (1874) Briggs & Co. NH Business Directory; Federico Glenton, photographic artist, 27 Abbott St., Nashua, NH (1880) See census; F. Glenton, photographer, 115 Main, Nashua, NH (1882) (1883); F. Glenton, photographer, 149 Main, Nashua, NH (1887) City Directories. Federico Glenton born 27 Sep 1850, son of J. Glenton and T. Gonzales, died 1927. He emig to US 1868, naturalized 12 Oct 1878, marr 27 Nov 1877 to J. A. or Lizzie N. Wallace. 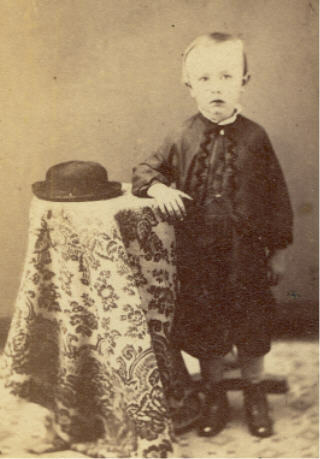 Child: Federico Glenton Jr.
Good & Stokes, Photographs, Trenton, NJ, August 1866; Good & Stokes, Photographs, Trenton, NJ, September 1866, IRS Tax Lists. See Jonathan Good. Good, Jonathan, photographer, Trenton, NJ (1860) See Census; Jonathan Good, Photographer, Trenton, NJ, September 1862, IRS Tax Lists; Jonathan Good, artist, Pennington St., Trenton, NJ, born PA, age 30, was with Maxies 1st VA Vols (1863) Civil War Draft Record; Jonathan Good, Photographer, Trenton, NJ, May 1864 over [$]1,000; Jonathan Good, Photographer, Trenton, NJ, May 1865,IRS Tax Lists; J. Good, photographed by, 36 Greene St., opp the post office, Trenton, NJ (1864-1866) cdv with tax stamp; J. 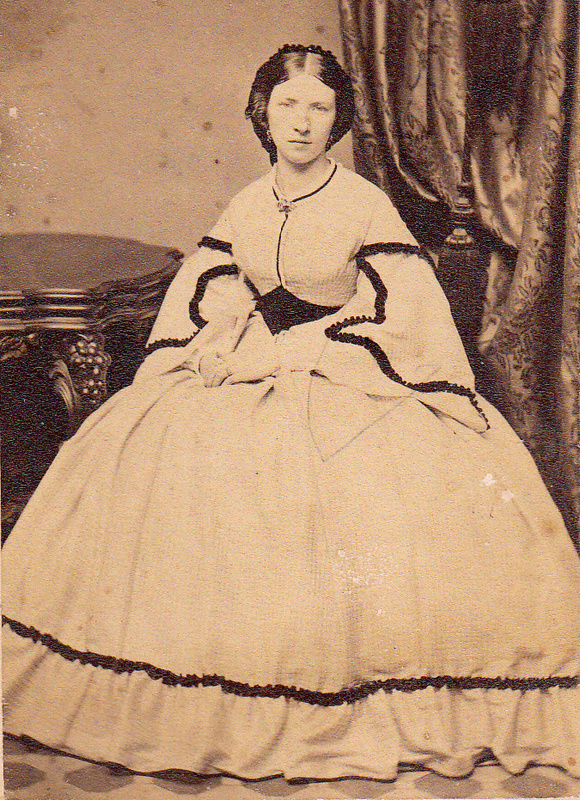 Good, photographed by, 36 Greene St., opp the Post Office, Trenton, NJ (1860s) cdv image seated lady; J. Good, photographed by, 36 Greene St., Opposite the Post Office, Trenton, NJ (1860s) cdv image; Jo. Good, Photographed by, 36 Greene St., opposite the Post Office, Trenton, NJ (1860s) cdv vignette image; Jonathan Good born 1824 in PA, died 7 Mar 1894 Ridley Park, PA, marr Mary Price, Chn: Mary M. b 1853, Elizabeth M. b 1855, Jonathan E. b 1858, Mira M. b 1860, Susan M. b 1862, Jay William born 1867, Annie Good b 1870. Goodman, Robert, photographer, Mount Pleasant, PA (1880) See census, boarding with Aaron Stauffer, photographer. Robert Goodman born 1852 in PA.
Graham, Frank S., photographer, r Court Ave., Winterset, IA (1900) See census. Frank S. Graham born Aug 1873 in IA living with father Joseph Graham. Also living there is Lee A. Graham, photographer. Graham, Lee A., photographer, r Court Ave., Winterset, IA (1900) See census. Lee A. Graham born Aug 1875 in IA living with father Joseph Graham. Also living there is Frank S. Graham, photographer; Lee Graham, photographer, Winterset, IA (1901-1902) Polk's IA State Gazetteer and Business Directory; Lee Graham, artist, photographer, Winterset, IA (1910) See census. Lee Graham orn abt 1875 in IA. Married Nellie, chn: Harry L. b 1900 IA, Joseph D. b 1907 IA; Lee Graham, photographer, gallery, 703 W. Court Ave., Winterset, IA (1930) See census. Lee Graham born about 1876 in IA. Married Nellie, son: Frederick b 1918 IA. Gray, Helen, artist, Annsville, NY (1875) NY State Census. Helen Gray born abt 1841 Oneida, dau of Justus Gray and Miranda. Gray, James D., photographer, h 34 Clark, Paterson, NJ (1889) City Directory; James D.
Graybiel, E., photographer, Santa Clara Ave. Four doors from P.O., Alameda, CA, Haywards, CA (1890) *two tiny cabinet images same, identified as "Frankie B. Goines, 3 April 1890"
Green, A. H., photographer, Knox Mills, WI (1894) Source: Price County Historical Society, Fifield, WI. Grimsehl, Henry, photographer, Brooklyn, NY (1892) NY State Census; H. Grimsehl, photographer, 229 Prospect Ave., Brooklyn, NY (1892) City Directory; Henry Grimsehl, photographer, 299 Prospect Ave., Brooklyn, NY (1902) City Directory; Henry Grimsehl, photographer, 229 Prospect Av, Brooklyn, NY (1906) Trow's Business Directory of Brooklyn. Henry Grimsehl born abt 1850 in Germany. See 1892 NY State Census. Grotecloss, photographer, 46 West 14th St., New York, NY (1880s-1890s) cabinet image; Grotecloss, photographer, 863 Broadway, bet 17th and 18th Sts., New York, NY (1880s-1890s) *cabinet image identified as "Mr. G. Daiker"
GROTT, C. O. & O.
Guerin, Fitz W., photographer, 1137 Washington av., St. Louis, MO (1887) Gould's St. Louis City Directory; Fitz W. Guerin, photographer, 409 North Broadway, St. Louis, MO. "Established 1876. Awarded First St. Louis Fair 1892, Medal at World’s Exposition Paris 1889, Medal at Convention Chicago 1887, Gold Medal Exposition New Orleans 1885, Prize at Convention Cincinnati 1884, Medal World’s Exposition Paris 1878, Diploma at Frankfurt am Main 1894, Gold Medal Convention 1896” (1890s) *cabinet image; F. W. Guerin, photographer, 409 North Broadway, St. Louis, MO (1890s) "Duplicates of this picture can be had at any time, List of Awards 1878 to 1892, cabinet image identified as "John B. Breathitt eldest son of Cordeaell Breathitt", jpg in gallery; F. W. Guerin, 409 North Broadway, St. Louis, Awarded 1878….1894, "duplicates of this picture can be had at any time", *cabinet image, jpg in gallery. Fitz W. Guerin, photographer, was born about March 1846 in Ireland, and emigrated about 1847-1849 to the US. On 3 July 1879 in St. Louis, MO, he married Miss Ella D. Ball. Guiwits & Cameron, photographer, Richfield Springs, NY. Gumbinski, Leon, photographer, 316 Woodland Ave., Cleveland, OH (1880) See census. Leon Gumbinski born abt 1838 in Poland. Gurney, J. & Son, photographic artists, 707 Broadway, New York, NY (1858-1862) *cdv vignette image, jpg in gallery; J. Gurney & Son, photographic artists, 707 Broadway, New York, NY (1858-1862) *cdv vignette image, jpg in gallery; J. Gurney & Son, photographic artists, 707 Broadway, New York, NY (1858-1862) *cdv tinted image, jpg in gallery; Jeremiah Gurney, daguerreotypist/photographer, 707 Broadway, New York, NY (1859) City Directory; Gurney & Son, photographs, 707 Broadway, New York, NY (1867-1868) Wilson's Business Directory of New York CityJ. 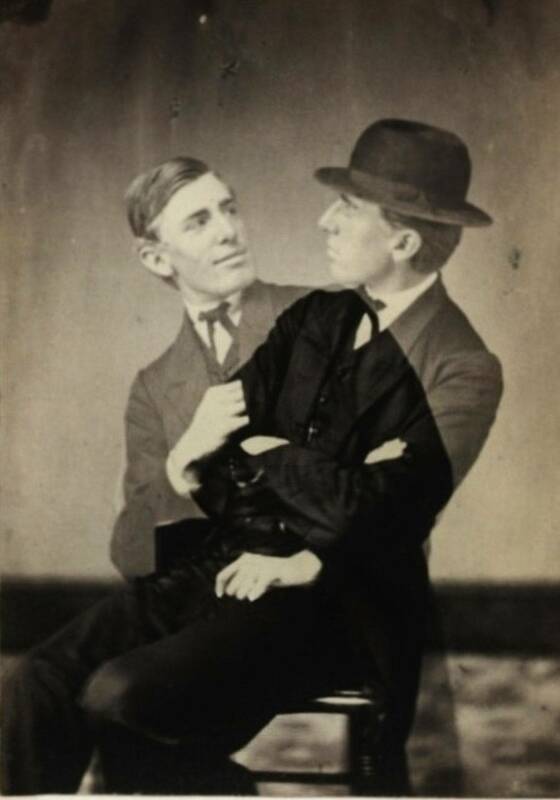 Gurney & Son, photographic artists, 707 Broadway, NY (1860s-1870s) image examples. Click link to The Memoirs of Jeremiah Gurney. Gurrad. John L., photographer, 902 1st, Ottawa, IL (1898-1899) R. L. Polk's LaSalle City Directory within Directory of Peru and LaSalle Co.